Coin & Relic Hunting Australia: 2012 in Review. Goldfields Chinatown: Chinese Coins and Relics. WW2 Aircraft Wrecks: Northern Australia. WW2 Relics: Australian Army Hospital Site: “Victorian Silver”. WW2 Relic Hunt: RAAF Airfield (4th Sortie): Cape York Australia. 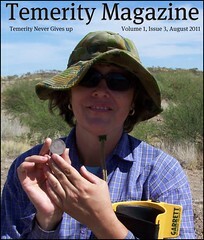 Australian Metal Detecting – Spring 2012.